Will Federal Reserve Remain “Patient” on Interest Rates? Everyone wants a short-term, high-gain investment, but gold investing is principally intended to be a long-term venture. The latest failure of major banks to successfully complete the stress tests is yet another indication that banks cannot be trusted and your money should be placed safely in certified gold now. 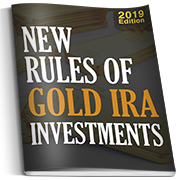 As troubles overseas continue to create an uncertain market for American investors, a gold IRA makes more sense now than ever. Gold has been making steady ground gaining its way over $1,700 an ounce. Following last week’s tumble, the gold market looks back on track for its continued rise. The gold market has provided one of the best opportunities for buying gold that we have seen in months. The gold market had an interesting reaction today after Ben Bernanke, Chairman of the Federal Reserve, appeared before the House Financial Services Committee. While doing your research on gold in preparation to make a purchase, you will notice several market links between gold and other investable goods. The trick to gold investing, and every type of investing, is to buy while the attention is elsewhere. It should come as a surprise to no one that gold investing is the best possible way to approach the fiscal problems we are facing in the world. Buying gold has been the best way to preserve and increase your wealth in the past decade. The world central banks, including the central bank in the US known as the Federal Reserve, have been buying gold at record volume. 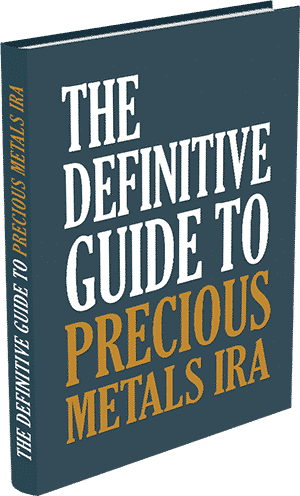 Given the economic and political problems confronting the global markets, a gold IRA may be the only available option for the members of our society who want to retire comfortably, with their wealth secure. While developments in Greece were postponed for this week, it is becoming rapidly clear that the current environment for gold investing is one of a global depression. As violent protests resume in Athens, it is worth your time and money to consider the strength of the gold market in the event of a Greek default. The European problem is one of the biggest threats to the health and strength of the American financial system and one of the best reasons investors are buying gold now. The Fed has made buying gold the best possible investment in the coming two years. The gold market was so strong, showed such meaningful gains, and broke enough boundaries in January of 2012 to lead some analysts to question if it means a correction, or temporary price shift, is due. Following the announcement by the Federal Reserve’s Federal Open Markets Committee last week, there was a 4.3 percent gain in the gold market, making it the best week for gold in the past three months. The decision by the Federal Reserve to keep interest rates low has bolstered the fundamentals of the gold market, pushed the price into overdrive, and put out a huge buy gold signal to prudent and knowledgeable investors. This past week the spot price popped another $20 as more investors sought the relief of buying gold as the European problem intensifies and shows signs of maturing in the near future. Gold drifted 1.6 percent lower in trading on Friday, but ended the week up 1.3 percent, highlighting the popularity of buying gold in the New Year. The gold market has demonstrated its robust strength and commitment to a long-term bull market. Investors are extending the New Year’s rally in the gold market by buying gold. The New Year thus far has proven to be the opportunity many investors have been waiting for to buy gold. After a correction in December brought the price of gold down 20 percent, the first week of trading in the New Year firmly established a floor above $1,600 as gold investing literally popped. The New Year is already showing a very promising gold market as prices popped in trading this week. In the words of Goldman Sachs, “Few people will lament the passing of 2011,” but those of us who have been and will be buying gold are looking forward to the New Year. There are many questions right now about how the gold market will perform in 2012. As 2011 winds to a close, the importance of investing in gold has never been more clear and more urgent. Following the relative quiet of the season’s holiday, a word of warning and an urge to start buying gold is very prescient. There are a couple investors, analysts, and trading legends that really have an insight into the gold market and are truly worth consideration when they give an interview. Some analysts ponder whether the death of Kim Jong Il will affect the markets or whether gold has entered a bear market. Despite all fundamental constraints, historical data, and pure common sense, there are some analysts out there calling an end to the gold bull market. Ever since the Fed intervention, the gold market has been in a sell-off, which has produced some of the best opportunities to buy gold we’ve seen in two and a half months. The recent pull back in gold price is fundamentally tied to the decision by the Federal Reserve to partner with central banks around the world to lower the swap rate on the US dollar. As the world raises its eyebrows at the news out of Europe, buying gold is becoming more of a clear signal here in the US. Many Americans are looking at retiring in the coming months and it is drawing attention to the quality and safety of a gold IRA. The slight dip in prices is an opportunity to buy gold. The recent monthly reports out of Washington combined with the major announcement of the Federal Reserve last week have already led to a jump in the gold market and has all the indications that trend will continue. Sometimes, in some markets, it can be a difficult question as to when you should buy gold. The French bank Societe Generale, in a strikingly worded statement, has advised its clientele and the world that the gold market will be the beneficiary of any fiscal intervention in Europe. The gold market reacted positively today on the International Monetary Fund’s denial of a funding package for Italy. It is generally well known that central banks have been net buyers of gold for a couple years now, but rarely do central banks disclose a change in their reserves. Gold gives the gold market its value. As several economic and political crises play out around the world and in the United States, Americans may be waking up to buying gold. If you want to really know what’s going on in the gold market, take your news like you take your medicine—very carefully. Central banks are purchasing gold at rates not seen in multiple decades. The recent shocking collapse of MF Global is beginning to show the value and strategy in gold investing. The gold market in Europe is making some interesting, yet predictable, moves. MF Global, the international big bank affiliated with Jon Corzine, is giving some interesting input into gold investing these days. Global demand for certified gold is twice as strong as it was one year ago. Goldman Sachs is one of the most venerated investment banks in the United States and it is buying gold. Why are the Chinese buying gold now? the gold market rose to its all-time six-week high – something investors and financial advisors cannot say for the rest of the world’s economy. Seeing gold market prices settle down and get back to business makes it even harder to understand what the Dickens is going on in the stock market. An intense restructuring of the entire gold market is looming. Gold market prices in the western world are not immune to sovereign manipulation of the money supply because we still think of gold as merely another asset to be exchanged for currency. Gold market prices tell a lot clearer story than the stock indexes. Once inflation is in gear, currency values drop, gold market prices climb globally. The gold market price has been acting very strangely of late. Hope for the free market is alive and well in America today and the gold market is leading the charge. The American gold market got sent a strong message when the Chinese Gold and Silver Exchange (CGSE) opened its doors this week. Moving individual investors into the gold market requires two major shifts in their thinking. It seems impossible to me that denial remains a strong enough influence on gold market prices to make a difference. The gold market may well be the last bastion against the new socialism. The gold market once again has proven its resiliency. Keynesians love wars and the war on deflation is right up their alley. By itself that might seem like a drop in the bucket, but in light of developments in the Asian gold market, the significance is clear. In yet another eerie recollection of the fall crisis of 2008, liquidity problems in the banking system are making themselves known day by day. While stock markets in the US languish, buying gold is looking brighter and brighter. Markets around the world reflected worry over the Greek financial crisis. Two outlooks that help identify the relationship between gold and money. The investment and consumer fields regard gold as highly important which is why it is one of the most widely discussed metals. According to the more vehement gold bears everybody and his brother are poised to pull the plug on the gold market. Action speaks louder than words, so they tell me. But so does inaction, and that is precisely what we need from the Fed next week. What is it about the gold market that attracts people? What is the expectation when investing in gold? Forget about the recent wobble in the gold market and the brief rebounds in the decline of stocks. The employment data is in: No new jobs. Zip. Zilch. Nada. Now that is going to be tough to spin. But spin they must, as stocks tumble and gold leaps up. If you want to understand the gold market today, you have to understand why the government abandoned the gold standard in the first place. Another rash of key economics indicators comes out this week, numbers sure to be spun for the government’s confidence game. When the gold market’s bull run will begin to wind down. The wizards of NYMEX once again must know something that the rest of the world’s gold market does not. The wildest predictions for gold market prices may not be so crazy after all. But the truly interesting thing about the 1980 plunge was that it precipitated a 36% rally in the S&P 500 through the end of the year. If you want a really good picture of what has been going on this week, overlay the gold market activity with that of equities. Now that the debt ceiling debacle reached its climax we can finally move on to something new, or rather more of the same without the sideshow. According to Washington D.C., the debt issue has been resolved and default has been avoided. The gold market is trying to tell us something – big change is coming and we best get prepared. There was a time when the world looked up to America as a benevolent big brother, teaching its siblings through example that no virtuous goal was beyond their reach. It seems contrary to simple logic that investors who are strongly risk-off tend to shun gold. But in the markets, old ways die hard. There is but one constant in everything that got us into the mess we are in and it is all that prevents us from climbing out – somewhere along the way America got mentally lazy. 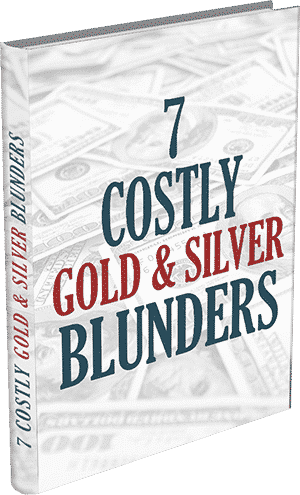 In gold investing – or for that matter any investing – in the past it rarely paid the individual investor to be a lone gun. It is getting harder every day to disparage gold investing but the boys on Wall Street keep trying. The quirky behavior of the gold market these days seems only proper in the context of what could be termed global economic chaos. It’s a little too early to say for certain, but the latest jobs figures just might have finally awakened the gold market. What would you trust more for your retirement – Social Security, a traditional portfolio, or an IRA gold investment? When credit was easy it was hard to stay focused on gold investing. The average American is becoming more aware of the true nature of the economy, yet the gold market is not showing any signs of a mass movement to the ultimate shelter. Gold market prices remain tentative as QE2 comes to a close, but that is just a symptom that “the effort has done little to solve the original problem. Anybody looking for some enlightenment from Bernanke’s press conference to help make sense of today’s gold market prices got a big – though not unexpected – disappointment. Former House Speaker Newt Gingrich and a number of other Republicans have taken up the cause of crushing the gold market. Hold tight, this should be a banner week for gold newsletters. Serious gold investment commentary tends towards gloom and doom, leaving the impression that folks like me are just terminally pessimistic. Buying gold today is the only way we will be able to buy anything in the very near future. Great news – the gold market rebounded nearly nine bucks! The gold market reflects the state of the economy, which in turn reflects the overinflated bureaucratic state of our government. The gold market is crouched in the starting blocks waiting only for the crack of the pistol. You don’t need a crystal ball to divine the future of the gold market. Buying gold as insurance against economic calamity could never be more relevant than it is today. Sure, buying gold bars definitely makes sense if the United States were in real trouble, but what is the worst that can happen. A lot of attention has been paid to the physical gold market of late, but little is being said about certified rare coins. The gold market these days testifies to the government’s success in confusing investors. If gold investments are imprudent, then so must be every other form of insurance. The 40th anniversary of an event that changed the gold market forever is drawing near. The urgency of turning to certified gold investments got kicked up another notch last month when BRICS told the buck to hit the bricks. 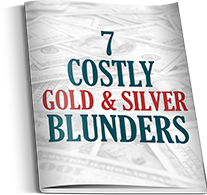 When big money cashes in it’s gains in the gold market, prices are bound to dip. Which is more important to the investor – a dip in the gold market or a double dip in the economy? News as big as Bin Laden getting his comeuppance was bound to hit the gold market with a wave of emotion. It is encouraging to see the gold market getting back on track to its long-term trends. The IMF just announced a real game changer that should have everyone charging to the gold market. Hallelujah, the world is waking up to the Fed’s con game and the gold market responded. The gold market cannot remain tentative much longer. There is every indication that the gold market is poised to shift into high gear this week, when the price of gold climbs past $1500. The joke is on everyone who isn’t buying gold. Without question the collapse of the dollar will be devastating to everyone, except those who have certified gold investments, of course. The resurgence in junk bonds is a stern warning to take shelter in certified gold. Investors today are struggling to find shelter in a market where everything seems to be on the rise, but that is to be found only in certified gold investment. The time for buying gold is running short in the aftermath of monetization. I’m not one to subscribe to conspiracy theories but something fishy keeps reining in the gold market. It’s looking like the volatility in the gold market won’t be calming down any day soon as traders keep jumping in and out with each new financial release. The word ‘hyperinflation’ gets bandied about a lot these days, so diluting the seriousness of the threat that millions of Americans are missing out on the chance to protect themselves with gold investments. Wall Street pundits keep talking about a major shift in asset allocation, but naturally they never even mention the gold market. Waiting for the gold market to react to current conditions is like watching a boy blow up a balloon to see how big he can make it. Sooner or later the pressure has to overcome the resistance. When it comes to stock investments I give Warren Buffet his due, but he should keep his comments about the gold market to himself. When all reason dictates taking a strong position in the gold market, why are individual investors sliding back into risk-on/risk-off mode? Nothing please me more than to see big money go nuts and open the gold market to exceptional opportunity. Inflation fears drive investors to the gold market and that greatly displeases Bernanke’s Wall Street cronies. Certified gold coins are your best protection against a government racing full tilt down a dead end spur. “Gold bugs”, and particularly those who advocate investing in rare gold coins, are forever chastised by mainstream investment gurus for their doom and gloom outlook on life. There is a surge in bets against the dollar that warns time is running out to take cover behind investments in certified gold coins. There seems no question that somebody or something is manipulating gold market prices. Something BIG is afoot out in the States that will have profound effect on the gold market: they are taking action to shelter their economies from the Fed’s dollar-destroying policies. The choice is clear: keep believing the lies and suffer the losses, or invest in certified gold coins and prosper. As the middle east heats up and oil prices soar, the need to take shelter in certified gold investments becomes ever more urgent. Paper currencies never last very long, but the value of certified gold has endured for centuries. Top Bloomberg analysts predict that 2011 will be another banner year for gold investment and The Wall Street Journal reports that gold market prices could go up another 30% this year. Until the government tackles entitlements, strong gold investment will remain the watchword. Investors are getting wise to (and tired of) Wall Street’s games and are discovering the advantages of straight forward gold investment. The gold market thrives on uncertainty, and there is uncertainty everywhere you look these days. The one sure way to hand Wall Street its comeuppance is to invest in certified gold coins and leave them holding the bag. It looks as though the stimulus has been a resounding success and that’s all the more reason to invest in certified gold. America needs resurrection and not recovery, and investments in certified gold will help us survive the inevitable. We owe the success of certified gold investments to the fiscal crisis, so it pays to understand it. The endless gold bear diatribe has once again fallen on deaf ears in the gold market. The threat of a downgraded credit rating for America is real and the consequences for gold investment should not be minimized. We small investors, however, can make our own adjustment to this new situation by getting serious about gold investing and letting the government fiddle while Wall Street burns. We can expect the gold market to keep growing as if nothing has happened. Don’t expect the government to wake up – take shelter in certified gold coins. Investors in certified gold coins are often branded as paranoid and obsessed with doomsday scenarios, but our day of affirmation could well be just around the corner. Wall Street is at it again, stoking the fire of “stock-market fever” to lure investors back and away from certified gold. Few Americans haven’t been burned by credit at some time, and that is what makes debt free investments in certified gold so appealing. Things are getting to the point where frolicking like Scrooge McDuck in a vault filled with certified gold coins has its appeal. When all else fails, you can count on certified gold investments to provide a long and healthy retirement. Hang on tightly to your certified gold investments, it looks like 2011 will be a banner year for Wall Street bull – and we’re not talking market. In the event of a systemic economic failure certified gold investments might well determine who survives. Certified gold investing might be the only thing we have left to protect ourselves from the impending implosion of the economy. Wall Street barons loves to argue that gold investment is risky but they carefully select and distort specific elements of risk to make their case. For the past ten years gold investments have thoroughly pummeled stocks. Wall street is forever trying to lure us away from gold investment and back into stocks. Among the more popular alternative gold investments lately are gold mine stocks. Investing in certified gold can be the panacea the government has admitted it cannot provide. What impact does China have on gold investments? A cold hard look at Wall Street. Part 2. A cold hard look at Wall Street. Part 1. Putting gold investing in the perspective of QE2 is at best confounding. How well did certified gold investments do this year? Fed Chairman Ben Bernanke’s interview on 60 Minutes was good for gold investment. What has terrorism have to do with gold investing? More investors are hedging their positions with gold investments. Trend analysis is a vital part of gold investing. 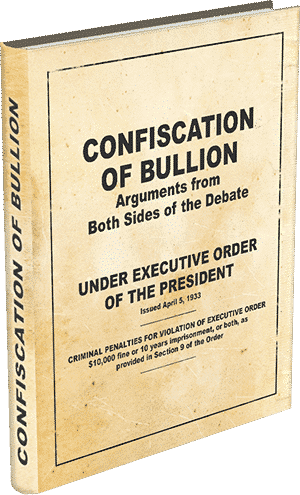 Gold Confiscation and the Patient Protection and Affordable Care Act. For the long term, the prospects for certified gold investments continue to be exceptionally promising. The threat of inflation has historically been a primary force driving gold investment. Investing in Certified Gold Coins – The ideal gold investment for long term stability and growth potential. Are We In A Gold Bubble? Will The Certified Gold Market Continue To Be Steady? China Buying IMF Certified Gold? Should You Invest in Gold Exchange-traded Funds?